Citigroup Inc. said Monday it is repaying $20 billion in public bailout money, freeing the banking giant from the close scrutiny and pay restrictions that came with the rescue program. The government also will sell its one-third stake in the company. 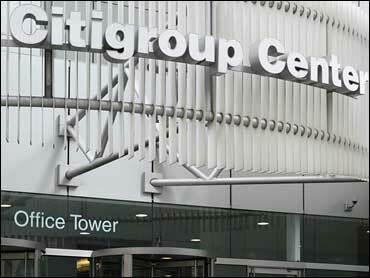 Paying back the government gives Citigroup's standing an immediate boost, but it comes at a heavy cost. Raising the new capital will significantly dilute current shareholders' stake in the company, and Citi's shares fell more than 5 percent. Citigroup Inc. was among the hardest hit by the credit crisis and rising loan defaults, and received one of the largest bailouts of any bank during the financial crisis. The government gave Citi $45 billion in loans and agreed to protect losses on nearly $300 billion in risky investments. By approving the repayment, the government is saying Citi is on strong enough financial footing to stand on its own. It's a far cry from the situation at the beginning of the year, when some analysts were saying Citi could fail completely and be taken over by the government. The news comes just days after Bank of America Corp. said it would in bailout money it had received. San Francisco-based Wells Fargo & Co. is now the last national bank that has yet to pay back its bailout money. Most other major commercial and investment banks including JPMorgan Chase & Co., Morgan Stanley and Goldman Sachs Group Inc. have already repaid the government. Citi will sell $20.5 billion in stock and debt to repay the bailout funds. It only has to pay back $20 billion because the remaining $25 billion was converted into a 34 percent ownership stake in the bank earlier this year. The government plans to sell that entire stake  which has risen in value by more than 20 percent  during the next year. The loss-sharing agreement will also end as part of the plan. The Treasury Department is in line to earn about $13 billion in profit on its support for Citigroup depending on how much it makes selling the stock, said a Treasury official, who spoke on condition of anonymity in advance of President Barack Obama's meeting with bank officials. Citigroup's exit from the government's rescue program is a significant milepost on the financial industry's road to recovery. Even though it's good news for Citigroup and other banks, word of Citi's repayment sent its shares down 22 cents, or 5.6 percent, to $3.73 as investors reacted to the dilution that current shareholders will incur. Citigroup received the bailout as part of the Troubled Asset Relief Program. The program was launched late last year to help ailing banks manage through the peak of the credit crisis. TARP recipients have so far paid back $116 billion. That's out of a total of $453 billion that the government extended to banks, insurers, automakers and other companies under the program. While the government believes in the strength of Citi, the bank is still facing losses and trying to streamline operations to maintain profitability that has been tenuous throughout the year, even as other big banks recovered. "It's early still given what we're seeing in credit trends at the bank and at some of their competitors to say the coast is clear, but I think they are growing more comfortable and that we can expect that 2011 is going to be a better year," said Jason O'Donnell, a senior research analyst at Boenning & Scattergood Inc. The repayment by Citi comes as top executives from some of the nation's biggest banks , who said it was time for banks to repay the government's "extraordinary assistance" in propping them up with an "extraordinary commitment to help rebuild the economy. Mr. Obama could face difficulty though, after describing bankers as "fat cats" in a "60 Minutes" interview broadcast Sunday. Mr. Obama also acknowledged that some banks were repaying bailout funds specifically to avoid stricter government oversight. "I think in some cases that was a motivation," said Mr. Obama. "Which I think tells me that the people on Wall Street still don't get it. They don't get it. They're still puzzled, 'Why is it that people are mad at the banks?'" Three chairmen - Goldman Sachs' Lloyd Blankfein, Morgan Stanley's John Mack and Citigroup's Richard Parsons - attended the meeting via conference call. They were expected in person, but the White House said inclement weather kept them in New York. Nearly 700 banks of all sizes participated in the TARP program. Most of the largest banks quickly paid back the money they received because it carried restrictions such as caps on executive pay and dividends. Many banks have bristled at the strict government oversight. Wells Fargo, which got $25 billion in rescue funds, is now the last large national bank that hasn't paid back the government. Like Citi, Wells Fargo was one of the first eight banks to participate in the bailout program. While the TARP repayment reduces the tight scrutiny of regulators, it also now leaves the bank more exposed to potential losses. The end of the loss-sharing agreement on about $300 billion of risky investments could hinder Citigroup's continuing efforts to maintain profitability. The Treasury official said Citigroup never had to tap the loss-sharing agreement, and the government has taken no losses on the Citi investment. Citigroup has been among the hardest hit banks by the credit crisis and continues to see consumer loan defaults pile up. Loan losses cost the bank $8 billion during the third quarter. It is widely expected consumers will continue to miss payments at rapid rates in 2010 because the job market remains weak and wages are not going up. Loan defaults are likely to remain high industrywide. Citigroup reported a $101 million profit during the third quarter before accounting for $288 million in preferred stock dividends and the debt exchange offer that gave the government its stake in the bank. Including those costs, Citi lost $3.24 billion during the quarter ended Sept. 30. Paying back TARP money will cut dividend costs by about $1.7 billion annually, the bank said. Citi will take an $8 billion pretax loss to pay back the bailout money. Citi is issuing $20.5 billion in capital and debt to help repay its obligations, including the $17 billion of common stock. The bank also said it will award $1.7 billion in stock equivalents to employees instead of cash they would have ordinarily received as part of their compensation. Citi had 22.86 billion shares outstanding as of Sept. 30. Based on Friday's closing price, Citi would need to sell about 4.3 billion shares to raise $17 billion. That would dilute current shareholders stake in the company by about 19 percent.